I had a quick sneak peak at my last post and realized that a more recent one was long overdue! While still in the midst of writing exams, several exciting things have happened, so why not celebrate them with a decent set of nails? And even better, why not share them on my blog? I don't typically turn to artificial nails - I will rather just get them done, or mostly simply keep them natural. This time around, however, I decided to do so since the last few months have been too busy for some good pampering (very sad but true!). I did some research beforehand, and was actually looking for different nails, also from Nailene. I popped into Clicks and unfortunately they were out of stock. I then came across Nailene Nail Studio Medium Length and decided to try them - definitely not a choice I regret! I was a bit disappointed that it did not come with nail glue and that I had to buy this separately. But this isn't something big to complain about after the result I got from this nails! I bought a cheap, small bottle of nail glue, hoping that it would hold (as mentioned above, I don't use artificial nails regularly so I found it pointless buying top of the range glue just for one use). They are incredible! The first thing that caught my eye was the numbering system on the inner of the nail - in this way, I could easily match and correspond the nails of both hands to equal sizes and lengths without having to compare them one by one. These numbers are not even visible after applying the nails. The sizes and lengths of the nails make them fit perfectly - they are comfortable, fit like a glove and I found them to even be longer than expected. Their natural look makes them look so real! I got tons of compliments, asked if they are my nails and even asked where I had them done. They are so incredibly easy to apply and do not break or peel off nails. The durability and strength of these nails are incredible. After a week and a bit I still have them on and although not looking brand-spanking new, they still look extremely good! They are affordable and I definitely got my moneys' worth - R84.95 at Clicks. These are definitely a good enough excuse to have stunning nails in an instant! 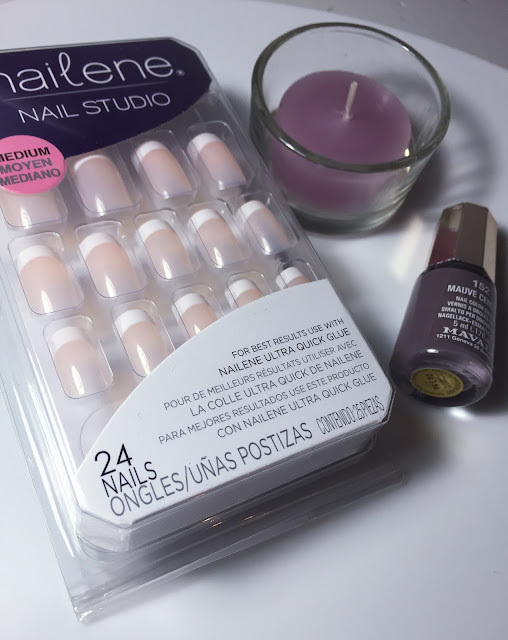 I would recommend these any day and although I am not a great fan of artificial nails, these made me pretty excited to try out different ranges from the brand. I hope you enjoyed the post and let me know if you decide to try the out, or have already, and tell me what you think. See you soon!